Intra-entrepreneurship. What is it and how to encourage it? You are here: Home / Digital strategies / Intra-entrepreneurship. What is it and how to encourage it? In this era of digital transformation, companies have to look for new ways to continue being competitive. Technological progress, which in turn creates a new social environment, changes the business model. This new business model focuses on technology and continuous innovation. The impact that the digital transformation has on each society, industry or sector is different but, if we see that it is necessary to have a well-focused strategy (as we saw in the previous post). One of those actions within a well-defined strategy is to foster the intra-entrepreneurship. 2 How does the intra-entrepreneurship develop and develop? 2.2 How to encourage intra-entrepreneurship? Externally: Collaboration with Startups or acquisition of these. Internally: Give the possibility to employees to lead innovation projects within the company using the resources and infrastructure of this. This last form is what we understand by intra-entrepreneurship. In the end, what is achieved is to encourage and encourage entrepreneurial activities from within the company, innovating and retaining a class of passionate employees who would otherwise have to seek to start their own business. Therefore, when we talk about implementing intra-entrepreneurship within a company, we mean that a change must also be made from mentality . The company begins to bet on its own employees and generate new challenges, products or services according to the new strategy of digital disruption. In addition, having the support of a company behind, the intraentrepreneur feels less pressure to develop new innovation projects. So in the end we will have a higher percentage of success for these projects. How does the intra-entrepreneurship develop and develop? First of all, you should look for the profiles within the company that best suit the profile of an entrepreneur. They are not afraid of change, they always try to innovate and try new things. They have enthusiasm and curiosity, they always look for the opportunity. They say what they think without fear of being branded as something. They believe in the company and they are committed to the company, otherwise they would not stay there. They are critical of the company’s processes, they often have a position in which they know well the ins and outs of the company. They still have maximum respect for the decisions that are made. They know that alone they will not be able to form multidisciplinary teams. They do not have to worry about anything but take care of themselves, they are flexible and agile, and they value above all acts. 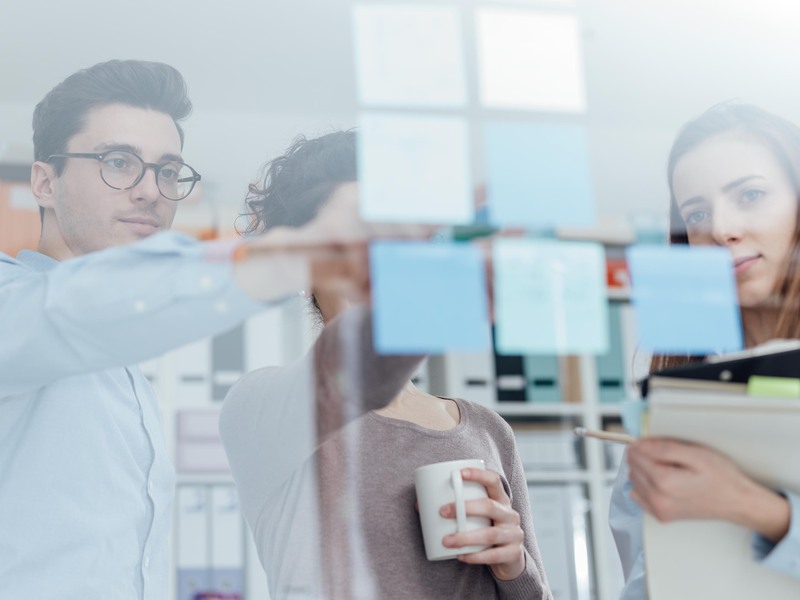 Creating an intra-entrepreneurship programme: A well-formed plan together with a defined ien strategy will allow employees to feel supported at all stages of the projects. When there is a methodology to follow it is simpler to take the step. Incentive System: The intra-entrepreneur is curious by nature but an incentive system always helps to get out of the comfort zone. The effort should be rewarded. Time to dedicate to projects: Being inside a company often the resources are not the problem but the time left to dedicate to these new projects. It is vital that employees are able to devote time from their day to the development of these initiatives. Valuation: Recognition and valuation within the company. An employee who feels that their effort is worth it will be more motivated to continue innovating. Adapt to the cultural change of the digital transformation, betting on the internal value of the company with its employees at the head. Betting on the company’s own talent, greater motivation of employees when it comes to developing their own projects. Development of new products and services according to the current environment of the company. Change in the hierarchical structure of the company, less vertical and more horizontal models where leaders prevail over bosses. Innovation involves digitization and encourages continuous learning of employees not to be left behind in the disruptive technologies that appear. lImplantation of new work methodologies. We talked about it in a previous post about agile methodologies . Brand improvement from the outside, incentive for talented employees to be part of the company. The numerous proven benefits of intra-entrepreneurship mean that more and more companies are adding it to their long-term strategy. In Xtrategy Digital we help your company to carry out a strategy in which intra-entrepreneurship plays an important role. Talent management is a necessary pillar of the digital transformation , keeping it within your company is vital. You can contact us to study your case in more detail and develop a strategy tailored to your needs.